Press photograph. Approximately 20 x 26cm. 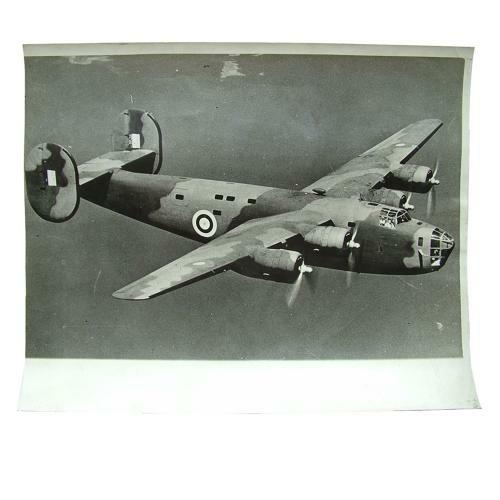 Shows a Liberator bomber in flight. Captioned to rear 'America's Contributon to the War Effort - At a time when we are looking to America to render all possible assistance by sending us war material the arrival in this country of their latest designs in fighter and bomber planes is reassuring and in some cases these aircraft have already gone into action. Photo shows The Liberator - a new bomber from America special for long range bombing assault duty'. Light soiling and some creasing but generally very good. Stock code P22873-79.